“This year, our club is really focused on serving locally”, Walbourne commented. “We already have projects lined up with the Interfaith Food Pantry and Youth Services. 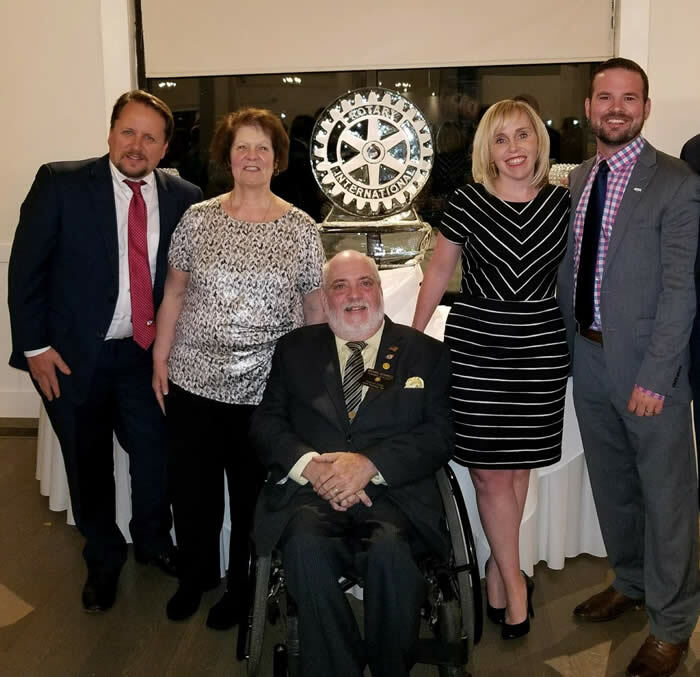 I’m looking forward to leading our group of volunteers and helping out where we can.” Walbourne was accompanied to the event by his wife, Lauren, and fellow North Reading Rotarians, Eric Evans, Janice Wood and Michael Scannell. The new leadership team began on July 1, 2017 and serve until June 30, 2018. For more information on how to join the Rotary Club of North Reading, please contact rotary7930membership@yahoo.com.